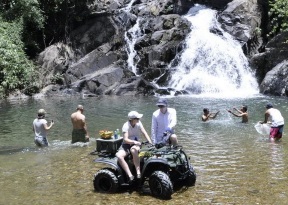 If you´re looking for a new way to explore the natural wonderlands of Phuket and Phang-Nga provinces, Phuket ATV offers a different and unique All Terrain Vehicle tour. Enjoy a fun and safe ride through real untamed rainforests, get in touch with local villages, farms, plantations, dark mangrove forests, discover a hidden waterfall and a unspoilt beach. The objective of these tours is to introduce the unseen side of Phuket and Phang-Nga provinces, to all nature lovers and adventure seekers. 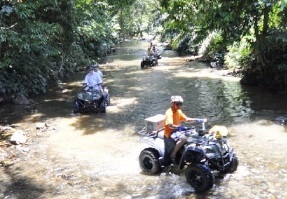 All beginners from age 8 in Phuket and age 12 in Phang-Nga are welcome to join the ATV tours. Our ATV bikes are fully automatic, safe and easy to operate. There is no prior riding experience needed to join our one of a kind tour. 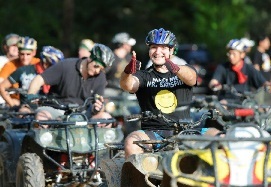 After safety briefings and operations orientations both beginners and experienced riders will be practicing on an easy track to get a feel for the ATV bikes. Once used to the bikes everyone will be ready to hit the tracks, supervised by professional staff and guides. You can choose from 1,2 or 3 hours of ATV riding. We also offer much more! Combine a ATV program with other activities, such as the challenging rope bridge with the flying fox, elephant trekking through the mighty jungle and endure the rapids with white water rafting. Our ATV tour is an ideal activity for anyone and any sunny or rainy day. 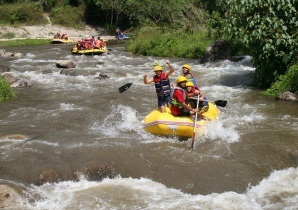 - Registration & whitewater rafting orientation, safety tips, briefing and training. 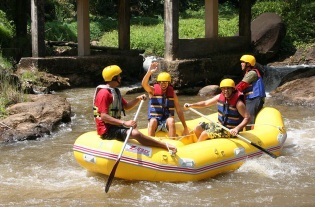 - Get ready and go for rafting in a wild river (around 45 minutes). 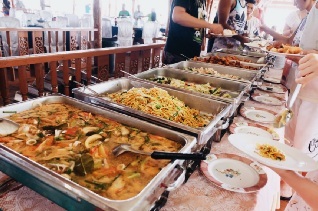 - Lunch and then transfer to the ATV camp (around 30 minutes). - Tour starts by riding on off-road trails amongst the great environment of local farms, plantations and jungles. - The real adventure starts where the road ends, where you can experience riding in the river, Which allows you to head to the hidden waterfall, secretly kept for all nature lovers. You can enjoy swimming, refreshments and snacks. - The most exhilarating part is the adventurous up hill trails where you will ride up to the mountain peak. Here you can take a short break to enjoy the fresh & cool mountain breeze and its scenic view and take some beautiful shots for unforgettable memories. - Cool down your ATV and yourselves by riding down hill and back to the ATV camp, enjoy fresh fruits in season, a sandwich and cold beverages and transfer to your hotel. **Note** -The riders must be in good physical and mental condition to ride safely. Therefore, no influence of alcahol and drugs, pregnancy as well as physical problems are not allowed. -Children under 16, riding ATVs must be supervised by parents/guardian and tour guide/instructor or tour operator. -In case of rider with passenger, acceptance will be under tour operator’s consideration and guests shall accept to sign a waiver form and use protective gears such as helmet, glove etc. -During the tour, strictly follow the tour guide/instructor. The tour operator has the authority to stop any risky riding or unpleasent mannerism with no refund. -Insurance for rider & passenger (ATV´s damages not covered). -Dust mask or cloth and insect repellent.